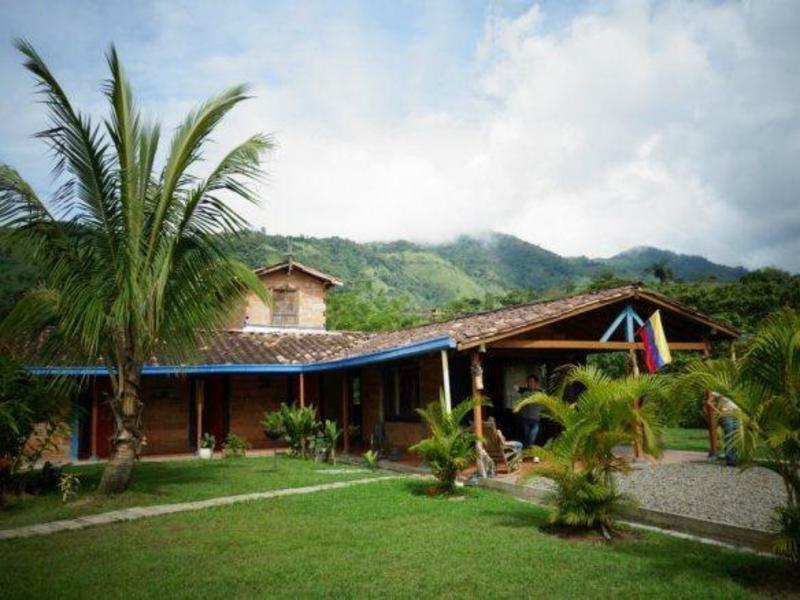 Being aware of our ecological impact when travelling has never been more important, and with Eco Hostel Medellin, you can be environmentally-conscious and budget-conscious without sacrificing your pockets or nature, which sets out criteria for conservation of resources, waste disposal & recycling, care for nature and environmental education. 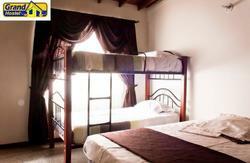 Also, Eco Hostel Medellin uphold levels of cool vibe, cleanliness and security whenever you stay. We invite our Guests/Visitors to enjoy our delicious VEGETARIAN meals while at the hostel. Our aim is to connect people through education courses: Spanish courses, permaculture, compost, aquaculture, composting toilets, bio-gas kitchen, cleaning water system, natural energy solutions, positive initiatives, music, yoga, meditation, nutrition, eco-tours, cleaning zones and keeping alive the rural landscape, plus studies of a variety of green sustainable development alternatives. We also offer: come and learn how to grow your own organic food, bike ride, horse ride, bungee jumping, trapiche and more! The Eco Hostel is a vegetarian establishment. For those who prefer to eat meat, please feel free to try out the local restaurants in the village. Smoking is prohibited inside dorms, cabanas, bathrooms and common areas. Once you exit the airport terminal there will be white and green mini buses marked 'Aeropuerto'. Take that bus towards the south bus terminal which is a 45 minute drive to the city of Medellin (the airport is not located in the main city). Once you arrive at the south bus terminal, take a second bus towards Amaga town. (1 hour approximately) once you are in Amaga Plaza, ask the public transportation (jeep) to take you towards the little path 'La Guali' and get off at 'Eco Hostel Medellin'. Its only about 20 minutes walking if you wish to walk. Many drivers will know Paola and her little eco-hostel just outside the town. Take 'La regional' o 'Via las palmas' towards downtown Medellin. Take the highway south. Exit at Angelopolis/Amaga. Please pay attention to the signs and exit at Amaga. Go to the Plaza and look ( or ask directions) for the path 'La Guali' and get off at Eco Hostel Medellin. Coming from downtown Medellin by you own transportation. Take the highway south. Exit at Angelopolis/Amagá. Please pay attention to the signs and exit at Amagá. 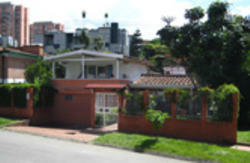 Go to the Plaza and look (or ask directions) for the path 'La Guali' get off at Eco Hostel Medellin.